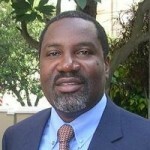 Conrad is the pastor of Kabwata Reformed Baptist Church in Lusaka, Zambia, and is also known as the ‘African Spurgeon’. He spoke from Titus 3 about how Christians, by the grace of God, are different. The truth about Jesus our Saviour changes us from being led astray by foolish passions. Our lives ought to bear witness to this truth. We are urged to give up folly because it not only makes us ignorant of our mortality but also leads to our very destruction. Wisdom is to rely on God and his mercy.